Our state of the art fitness room contains A Body Solid Fusion Personal Trainer, Nautilus Elliptical, Two Nautilus Upright Bikes, Nautilus Recumbent Bike, Nautilus Treadmills and Two Crew Master Rowing Machines. 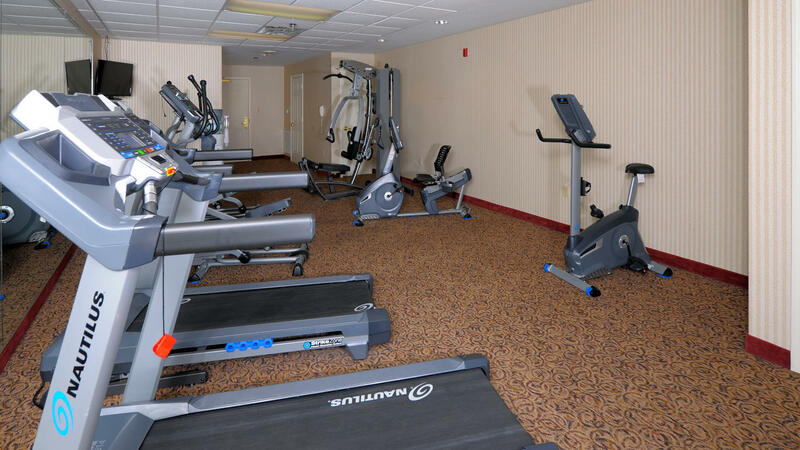 Guests enjoy free WiFi, water, and towels in the fitness room. The fitness room is located on the third floor of Building 1 and is open from 9am to 11pm.